Firefly counter is outside at 100mt on your right. Ground floor at the arrivals. Upon arrivals go to the rental cars building, outside on your left. Directed by exiting arrivals to 50 meters to the right; then cross the parking and wait in the arrival of the shuttle FIREFLY, passing usually every 5-10 minutes; for more information call 0039 numbers (0) 9.53.40.614 and / or 0039 3929434225. Leaving the airport arrivals hall, on the right there is the stop of the shuttle common to all car rentals. The stop is marked by warning signs. The shuttle runs every 15-20 minutes. Exit the airport and go towards the building across following signs for car rentals. Once out from the arrivals area, go down the hall and reach the height of the pharmacy; from there turn right and choose the door with car rentals indications. The distance is about 200 meters. Starting from the arrivals area, go outside the building and cross the road until you'll find on your right a roof: from there in 10-20 minuts a free shuttle bus (with rental companies logos on it) will lead you to the rental area (about 600 mt). From the arrivals heading to the parking in front of the airport and go at the A6 field on your left where you will find in the sign "Shuttle Bus Firefly"; We invite you to call if necessary at 0039 3929777752; the shuttle bus will take about 5 minutes to get to the Firefly counter; shutle from arrivals at the bus there is a distance of about 50 meters; The total distance is about 2 km. The rental area is just in front of the arrivals. Firefly counter is in the hall in front of the airport. If you're heading further afield, Firefly now has over 20 locations serving major tourist gateways in the United States. 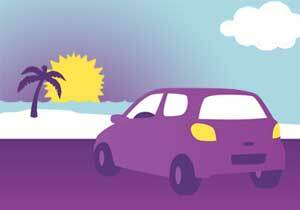 To view the current list of locations and find a deal for your US car rental, click here. Heading down under? 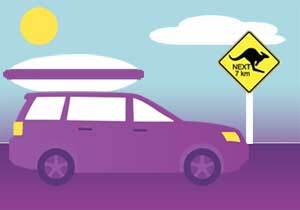 If you need a car for your trip to Australia or New Zealand then you'll find great deals with our sister company Ace Rental Cars. Ace Car Rentals New Zealand.